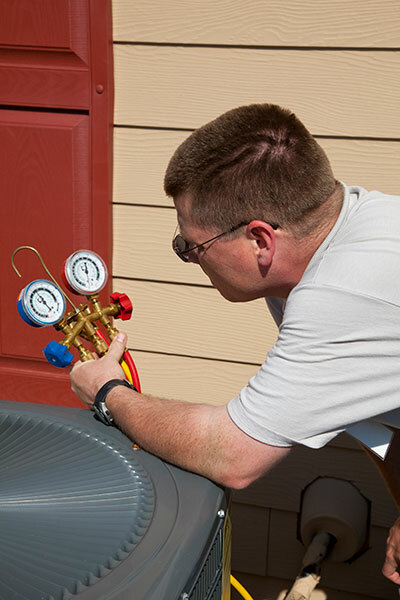 Boerne Air Conditioning Experts provides high quality heater replacement in Leon Springs, TX and the nearby communities. We know that you’re familiar with the concept of hybrid vehicles, which use a combination of electricity and gasoline to get you where you need to be while burning as little fuel as possible. This approach to transportation is similar in concept to hybrid heating technology. Indeed, a hybrid heater will use two different fuel sources—two different systems, actually—to provide you with a reliable and incredibly efficient heating experience. It will do so by utilizing both a heat pump and a gas furnace. Now, you may be wondering why you would want to invest in two heating systems, rather than just one that can do the job on its own. In truth, both a heat pump and a gas furnace are capable of doing the job individually. By working together, though, they allow your hybrid heating system to provide you with some very real benefits. To understand why you may want to use a hybrid heating system to keep your home warm throughout the winter season, you really must first grasp how it is that a heat pump operates. While we’ve been saying “hybrid heating system,” the fact is that you also get an air conditioner in the investment. That’s because a heat pump doubles as an air conditioner during the summer season. 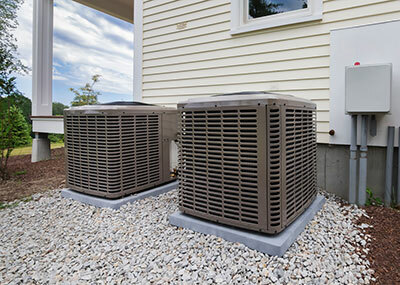 In the summer, the heat pump acts just like a central AC. It evaporates refrigerant in the indoor evaporator coil, which allows that refrigerant to absorb heat from the air surrounding and passing over that coil. This cooled air is then distributed throughout the house via ductwork, while the refrigerant is condensed outdoors in order to vent its heat. During the winter, the heat pump heats homes with amazing efficiency because it can reverse this process. Using just a small amount of electricity, the refrigerant is evaporated outdoors to absorb ambient heat from the air outside. That refrigerant is compressed, and is then condensed indoors to heat air for distribution throughout the house. In Leon Springs, TX, we have fairly mild winter weather, which makes our climate perfectly suited for the use of a heat pump. That being said, the fact that a heat pump can do the job doesn’t mean that it is always the ideal system to do the job of heating your home. While a heat pump can deal with very cold temperatures, there comes a point when a gas furnace is actually the more efficient way to heat the house. The beauty of a dual fuel, or hybrid, heating system is that it will always be running the most efficient heating option. While you would have to invest in 2 designated systems for year round comfort anyway, a hybrid system gives you 2 systems with 3 different comfort options. AC and very efficient electric heating from the heat pump, with gas heating to fall back on. When the heat pump’s efficiency drops enough, the gas furnace will come on and pick up the slack until the heat pump can get back to its outstanding efficiency levels. You’ll never have to make a manual switch, you’ll have all of the heating output that you’ll need, and you can just switch the heat pump over to the cooling mode when summer comes back to town. If you’re interested in learning more about the hybrid heater, or additional heater replacement options, feel free to reach out to one of our team members at Boerne Air Conditioning Experts.